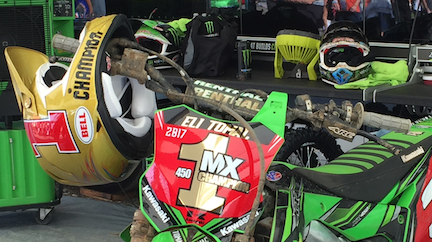 Congratulations to Eli Tomac on winning the 450 title!!! It was a long, tough season for all the riders and teams with Factory Kawasaki guys getting the crown. The Crawfordsville race was a good one for the ARC brand with three out of four possible holeshots. The top five riders in each class also had ARC levers or levers that we made to the customers specifications. Tomac, Musquin and Sexton all showed that ARC products can hit the matt and still be able to continue racing. The season is not over yet. Next weekend it is off to Jacksonville, FL for the MXGP. We support some teams in that series and this will be the first time that we will meet some of the team members. It should be great racing after seeing Herlings last weekend. We hope to see you there!